However, by using Compose Yourself, kids can change the sheet music to suit what they want. They can remove the bass symbol or turn the card upside down. When kids get to experiment with music, not only do they find it fun, but they’re eager to learn - and kids retain more with hands on learning versus being instructed without actually doing. The cards can be arranged in a pattern and each of the cards are numbered on the top as well as on the bottom for easy identification. When the child is finished arranging the notes on the cards the way that she wants them, she can input the code and will be able to hear what she’s created being played. Her creation will be performed by a symphony orchestra at an actual music studio. What parents love about this set is that kids who don’t know anything at all about music composition or even how to play a single instrument can still create wonderful compositions. These cards will help inspire your child’s imagination, help her to express herself musically and build her self-confidence. Using the cards is simple to do and even young girls can get involved. All kids have to do is put four cards in whatever order they want them to go in. Once they have the pattern that they like, they put the codes into the website. After the code is entered into the website, the child’s creation will then be played by the orchestra. Your child can still rearrange the notes if she prefers a different sound. When she’s satisfied with her musical composition, she can get the MP3 of her music or she can print it out to play on a musical instrument. 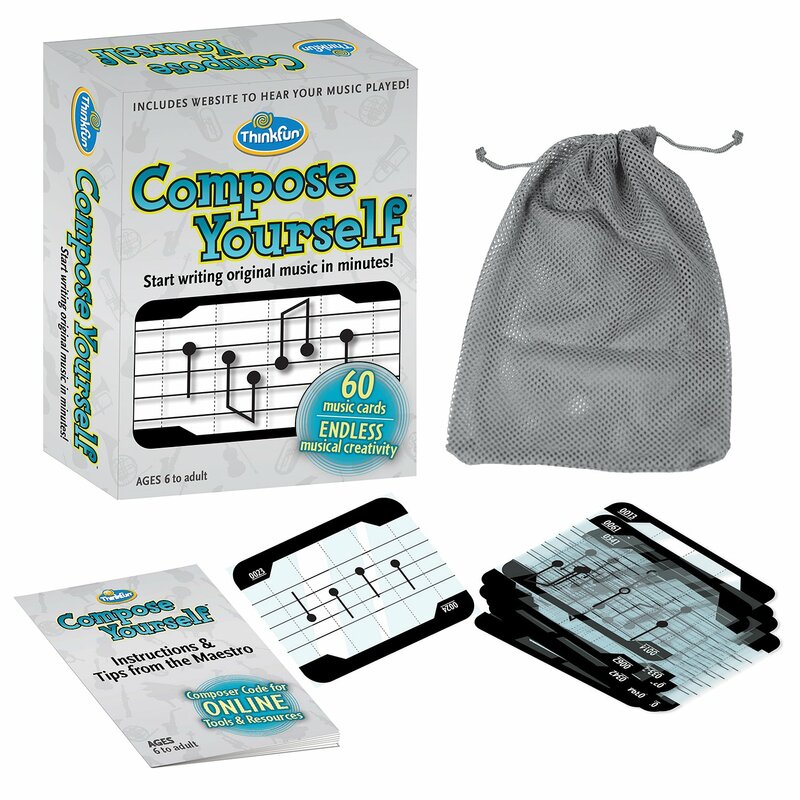 When you purchase the Compose Yourself kit, you’ll get 60 different music cards for your child to work with to create endless compositions.